Should You Invest in SSPN? Should I invest in SSPN-i (renamed as SSPN1M) for my child’s higher education? What are the returns, pros, and cons? What is Skim Simpanan Pendidikan Nasional (SSPN)? SSPN (National Education Savings Scheme) is a savings scheme for higher education launched in 2004. SSPN was introduced by the Goverment through Perbadanan Tabung Pendidikan Tinggi Nasional (PTPTN) aka National Higher Education Fund Corporation. Depositors agree for PTPTN to manage and invest their deposits under the Islamic concept of “Wakalah Bil Istithmar”. SSPN offers returns of ~4% and annual tax relief of up to RM6,000. From 2012, having a SSPN account is a pre-requisite for taking a PTPTN loan. From 2018, SSPN is renamed as SSPN1M (SSPN 1 Malaysia). Note: There are no restrictions on accounts you can open. Child qualifies for PTPTN loan application for higher education. Parent/guardian tax relief of up to RM6,000 per annum ONLY for parent/guardian of qualified child beneficiary. Note: If both parents filing joint tax relief, total combined is RM6,000 only. Free takaful insurance with minimum deposit RM1,000. Consideration for matching grant of up to RM10,000 for eligible families with monthly base pay below RM4,000. Savings guaranteed by the Malaysian government. Competitive dividends which are tax-exempt. Flexibility to save in any PTPTN branch, 3000 agent locations, and via online banking. Tax relief of up to RM8,000 (increased from RM6,000) per annum for parent/guardian saving SSPN-i for their child. For parents with separate tax filing and separate SSPN-i account for child, each parent qualifies for tax relief up to RM6,000 each per annum. SSPN child account must be opened before age 18 to qualify for the tax relief (with annual contribution) until child turns 29. Tax Savings example above based on RM6,000 p.a. SSPN deposit. Effective tax savings is an estimate based on ~50% simple tax savings as Malaysia is on a progressive tax bracket. Run an online tax calculator or check with a tax consultant for more accurate tax savings. SSPN partial withdrawal can be at any time with min RM20 to keep account active. SSPN complete account closure can be done at any time. You can opt to reopen your account again. SSPN account closure also occurs upon depositor death. SSPN account closure requires submission of deposit withdrawal form, account closure form, copy of savings account book front page, and matching grant form/death certificate/other relevant documents (if applicable). Stated account closure process time frame is 14 working days with full and complete documents submission. SSPN is an option to save for your child’s higher education for tax benefits, provided returns continue to average ~4% above, and you do not mind your funds being tied down in the account. RM8,000 tax relief is decent provided your chargeable income is at least above RM35,000 (above RM2,916 monthly). This will be at 10% or higher tax bracket. Extra perks of PTPTN loan qualification, and free takaful insurance coverage. There have been some complaints about inefficiencies and delays for funds disbursements. PTPTN has faced difficulties collecting back loans made out although PTPTN has since denied it is facing any financial difficulties. Q: Can I open a SSPN-i account if it is not my child? Can I claim tax relief? You need to be the legal parent or guardian of the child. Tax relief is only for the legal parent or guardian. Q: Can I open a SSPN-i account for my child even though I am declared bankrupt? Q: What banks (agents) can I make payments through? Maybank, Bank Islam, Agrobank, Bank Rakyat, RHB Bank, CIMB Bank, and BSN. Q: Does the SSPN tax relief include dividends? No. Only the (up to) deposited in the year qualifies for tax relief. SSPN dividends are tax exempt though. Q: What is SSPN-i Plus? Will I qualify for another RM6,000 tax relief? SSPN-i Plus although similar sounding is different from SSPN. SSPN-i Plus is takaful (insurance) coverage which costs you from RM30 upwards monthly providing. This qualifies for a further RM6,000 tax relief BUT only if you have not maxed out your EPF/life insurance contribution. Q: After graduation, can child continue to maintain SSPN? e.g. for post-grad studies. If yes, does the parent/child get tax relief? Yes, SSPN-i accounts can be continued on. Tax relief would only be for parent as depositor paying for child beneficiary. The child account must be converted to an individual account at age 29 to continue saving with SSPN. Q: Does account closure have to be for one of the reasons stated above? A: Checking with PTPTN, you can close your SSPN-i account (full withdrawal) at any time (not necessarily for withdrawal from child withdrawal from education/public university or other reasons listed above). Is tax relief allowed for EPF self contribution by the self employed? I am self employed aged 64. I pay my own EPF contribution. Am I allowed tax relief up to 6000 p.a.? Hi CK, Yes EPF self-contribution is exempt for tax relief up to 6,000 p.a. Am working for a company and I am Single age 56 years old. Can I apply for SSPN. Will I get a tax relief up to 6,000 p.a. Hi Yuet Pheng, Yes you can apply for SSPN. However, the tax relief is only if you are a parent/guardian of child beneficiary aged below 29. I have open a SSPN account last year for the tax relief purpose. However should I continue to invest ANOTHER 6,000 this year so I can get the tax relief next year? Hi Enna, if you want the tax relief for tax 2017 filing then yes. a) Can I operate a SSPN account with my my son as beneficiary, even though he has started employment ? b) If the answer to (a) above is “YES”, am I entitled to Tax Relief for Resident Individual up to RM6,000.00 as per LHDN regulation? c) If the answer to (b) above is “YES”, will my SSPN Tax Relief entitlement lapse upon my Son attaining age 29 i.e. in 2021 year of assessment? Hi Kenneth, Thanks for the queries (which sounds like programming if-else questions! XD). Unfortunately your child would need to be age below 18 at the time of SSPN child account opening to qualify for the tax relief. If your child was below 18, you would then continue to enjoy the tax relief (with annual contributions) until your child turns 29. Hi. If both me and my husband are filing separate tax claims, can both os us open accounts for the same child name? Hi HK, Yes both of you can open accounts for the same child name. compare SSPN-I and SSPN-I Plus, which one is better? Hi KK, for SSPN-i and SSPN-i Plus the key difference would be SSPN-i Plus is a takaful (insurance) coverage. For tax relief purposes, it can be considered for part of your EPF/life insurance contribution if it has not been maxed out. Thus it depends on your needs. For most people, the focus will be on the SSPN tax relief of 6k which would be by maxing out SSPN-i only at 6k. hi.. if i already have the sspn-i plus account, i need to deposit 6k in order to qualify for the tax relief right? does the 6k include takaful contribution as well? thanks! Hi Syarina, Yes you will need to deposit 6k for tax relief within the year. And yes it’s inclusive of the takaful contribution for the SSPN-i plus account. Hi KK, great that you got your tax relief for 2016. Yes another 6k placement would be required for 2017 tax relief. I thought SSPN can withdraw at anytime. The above only applies to SSPNi+ right? Hi JF, we have contacted SSPN to confirm & updated the article that withdrawal for SSPN-i is at anytime with min account balance RM20 to keep account active. Hi Tan, yes you can withdraw in full anytime (or leave RM20 to keep account active). Withdrawal can be done at any SSPN/PTPTN branch. If we can withdraw anytime , let say I had deposited RM6000 last year, wont that mean I can withdraw it and bank it in again just to have the tax rebate? Hi Shen, Won’t work that way as it considers the net deposit total. If I have 2 kids, can I deposit 6k to the first one, and withdraw next year and deposit to another kid account to claim the tax relief? Hi Ken, no as it takes the net deposits in another year to calculate the tax relief. Hi I have opened account for my two kids. May I know if the amount entitled for deduction is net saving in to SSPN as a whole or by individual sspn account ? What is the amount entitled for tax relief in 2016 & 2017 for below scenario. Thanks. Kid1 : deposited 6 k in 2015 and withdraw 6 k in 2016. Just deposited 6 k in 2017. Kid 2: deposited 6 k in 2016 and withdraw 6 k in 2017. No deposit made in 2017. Hi Ang, the tax relief is defined as total deposit in year MINUS total withdrawal in year based on the depositor. For example 2017 your total deposit 6k MINUS total withdrawal 6k = 0.
in year 2016, withdrawal of 6k. Expected, no relief. in year 2017, deposit 6K again. would he/she get the tax relief for year 2017? Hi Win, I don’t see why not based on the current guidelines. But may see guidelines change if many people try this. (1) Am i entitle to my personal income tax relief on RM6K deposited? (2) Will the money in SSPN-i automatically pay down partially her student loan when she graduates ? Hi Melissa, 1) Yes you will qualify for income tax relief if you are the depositor for child beneficiary account. 2) No it will not be automatically deducted from the SSPN-i account. One will need to make arrangements for the PTPTN loan payment starting latest 6 months from graduation date. I have called the PTPTN careline to check and there would be no condition for withdrawal. Can you please confirm that the conditions below are correct? Child offered a place in approved higher learning institution. Child voluntary withdrawal from education system. Suffering from incurable critical illness certified by doctor. Depositor/child total and permanent disability or death. Hi Rodney, Yes the withdrawal can be done at any time as conditions have been removed. The earlier posted information was for full account closure and withdrawal conditions which was supplied by SSPN. SSPN has since removed the above conditions listing and replaced with only depositor death. We have updated article as such. Thanks! and sequence year until kids year 29? Hi Karl, Interesting scenario. Believe this would fulfill the deposit/withdrawal requirements of 6k annually. We have yet to know of anyone who has tried this out whether it is regarded as a loophole and will be allowed now and into the future (especially if done by many). The one who tried would not want to make this public. As soon, the regulation will change. Brilliant! I have an account few years ago through CIMB, i wanted to continue, please contact me where to bank in the money. Hi Kee, this can be done at any PTPTN branch or online. Hello there. i don’t understand regarding the tax relief example table. what does it mean by tax rate, simple tax saving and effective tax savint. FYI, i monthly income is roughly 6k. thank you in advance. Hello Mohd Naqiuddin, tax rate would be the highest tax bracket that you are in. Simple tax savings would be RM6k x your tax bracket. However, your effective tax rate will differ as Malaysia’s progressive tax rate increases with income earned. Run a tax calculator or with a tax consultant to determine your actual tax savings. Hello there. Applying online on the PTPTN website is so confusing. If I am applying for an account for my daughter who is 1 year old, what type of account should i select? I am assuming “Butir-butir Pendeposit” refers to the parent, and “Butir-butir Penerima Manfaat/Diri Sendiri” refers to my daughter? Would you recommend opening online or going via one of the banks? Hello Coco, it should be option 1. Akaun untuk anak jagaan yang sah. Yes “Butir-butir Pendeposit” refers to the parent, and “Butir-butir Penerima Manfaat/Diri Sendiri” refers to your daughter. Both has its pros. Online saves you time while at a bank they can help answer some of your queries. Hope this helps! I deposited additional sum on 28 Dec. through online payment to add up to the total of RM6k investment for 2017. Will the last minute deposited amount count on for the year 2017 tax relief or it will be forwarded to 2018? Hi Amiz, As long as it goes into your account by Dec 31, 2017 it should count for year 2017 tax relief. Thanks for your detailed post and for answering each and every question from visitors. I just opened an account for my daughter via the PTPTN portal https://www.ptptn.gov.my/esmas-open-acc-web/#/openAccount and paid online, etc. Also got the transaction receipt via e-mail. But how do I log-in to view the account, or perhaps get any acknowledgement/proof that I have opened the account? Hi Neo, You’re most welcome. Great that you got your account setup. You can check your SSPN-i account online. Did I mention you are awesome?! Thanks again for all your help and great content. Happy New Year to you! Happy to help! 🙂 Happy new year!! Hi admin, I’ve opened an SSPN-i account for my daughter, but now that I’ve changed my mind, how do I upgrade it into SSPN-i plus? Or should I open another account? Hi Aiena, the SSPN-i plus would be a different account type. You will need to open another account for SSPN-i plus. Thank you for the prompt reply! Hi, I have registered my kids for SSPN-i Plus and is paying a monthly commitment for RM50/month/child. I saw that RM10 is been deducted monthly. If i top-up the account to RM1000, will i get the free insurance (thus you wont deduct the Rm10/month)? Hi Azura, the SSPN-i Plus is separate and different from SSPN-i. SSPN-i Plus comes together with takaful bundled. For example, your RM50 Delima package is bundled with the RM10 takaful payment monthly. The free takaful insurance protection is for SSPN-i only. Yes, you’re right. RM10 goes to pay for takaful-related. a. Is the account no. different when both of us opened the SSPN accounts separately. b. If yes, since my husband and myself deposit RM6,000 separately and snce we are filing separate tax, can both of us claim the tax relief of RM6,000 each. c. If yes, my son will have 2 different SSPN accounts with combined fund of RM12,000. Good day! can I claim tax relief for the amount from both my children SSPN accounts? Pls advise thanks. Good day Katherine, Yes you can up to RM6k per individual parents if 2 parents filing separately for SSPN-i. I have 3 accounts for my kids SSPN and need to know 1 of my son is 7 year old this year 2018. Did my son will get money rm500 bajet 2018. If yes please advice me which bank I can get. Hi Gayathiri, upon official announcement and if criteria met, the 500 matching grant should be credited into the SSP1M account. is sspn same as sspn-i ? Hi Chia, Yes SSPN mentioned in this article would be referring to SSPN-i (unless stated otherwise like SSPN-i Plus which comes with takaful protection). so SSPN = SSPN-i, all the benefit above will be same. e.g. SSPN offers returns of ~4% and annual tax relief of up to RM6,000. is that a way to check my Child’s SSPN account online? e.g. transaction. is there a limits for this sspn-i ? i mean can i deposit for example 100k into this sspn-i, knowing its getting a good interest return rates ? Hi Michael, Yes you can as no known limit. If you’re looking for even better investment return opportunities than SSPN-i, do contact us. 1) How and where to make deposit to SSPN account? Can bank in through Maybank? 2) How to withdraw money from SSPN account? 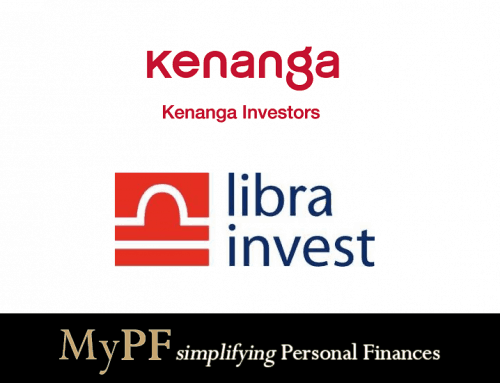 Hi Ling, 1) Deposits can be made directly to SSPN branches or agents/banks including Maybank. 2) Withdrawals can be done via SSPN with supporting documents. (1) Do I still enjoy personal tax relief up to RM 12000 if I open a SSPN1M i (2018) account for my son and deposit RM 12000 into the account every year after 2021..? According to the T&C, I am eligible to gain tax relief from year 2018 until 2020, how about after 2020 until 2035, if I continue to deposit RM 12000 every year? (2) Do the previous “pendeposit SSPN and SSPN-i” still can enjoy their tax relief every calender year until nowaday even they have brought it for more than 4~10 years? (1) The personal tax relief for SSPN1M-i is RM6000 until 2020 (a separate RM6000 for SSPN-i Plus). After 2020 will depend if tax relief is announced as eligible. (2) Previous tax relief would need to have been deposited in those years & filed tax relief. From 1 January to 31 December 2018, the government will give a one-off RM500 to 500,000 Malaysian students aged seven to 12 years old, provided they open an SSPN account with a minimum deposit of RM500. Hi, my son is 17 years old and not opening any account in ptptn. Am i entitle for the tax relief i bank in RM 6000 in sspn1m account. Hi KN, as your son is below 18 yes you can open the PTPTN account & entitled for the SSPN1M RM6k tax relief. 1) SSPNi+ is for insurance coverage, the 6k tax relief is max combined with EPF and other life insurance, right? 2) We only have SSPNi (previously SSPN, i.e. opened 9 years ago when my son was 7 then), not necessary to open SSPNi+ if EPF and life insurance already exceeded 6k, right? i.e. can’t enjoy further tax deduction. 3) SSPNi contribution entitlement for 6k tax relief is until YA2020? 4) For PTPTN loan application, is SPM certificate a must? If my son is sitting for IGSCE, he will not be entitled to apply for PTPTN if he is accepted by local private colleges? 5) If IGSCE results entitle to apply for PTPTN when accepted for higher education in local private college, is there a condition set for household income? My daughter opened a SSPN-i account for her PTPTN loan when she was just over 18 years old. She is the pendeposit and Penerima Manfaat. 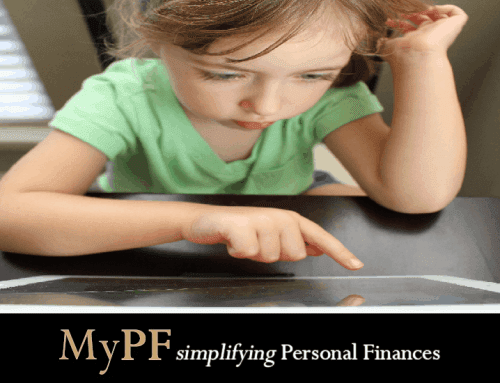 Question 1 : Can I (parent) claim for the tax relief of 6K if I deposit into her account? My other daughter is just over 18 years old. Question 2 : Can she open a SSPN-1 account? Question 3 : If can for question 2, can I (parent) be the pendeposit and claim for the tax relief? Q1: Yes you can claim but you need to be the listed depositor not your daughter and the account is a child beneficiary account. Q2: Yes for child beneficiary account below age 29. Q3: Yes. Again you need to be the depositor for a child beneficiary account. Thank you very much for your prompt respond. 1. Can I change the depositor to be MY name as my daughter is now the pendeposit and Penerima Manfaat (as printed on the card)? so that I can entitle the tax relief. 2. Even if my daughter is over 18 years old, can I still be the pendeposit and she is the child beneficiary? Hi Alice, you’re most welcome. 1. You’ll need to change the account to list you as the depositor. The previous one would not entitle you for tax relief. 2. Yes you can still be the depositor for a child beneficiary account even above 18 (until age 29). Thank you for your very prompt reply. How can I change the account to list me as the depositor so I can entitle for the tax relief? Hi Alice, You’re most welcome. You’ll need to head on over to any PTPTN branch location during office hours. There are some query required your clarification. 1. If I still don’t have child, can i create an account under my name (depositor and beneficiary both under my name) for my future child and claim the 6k relief now? Hi Primo, thanks for your queries. 1. You must have a child (right now) to open an account and qualify for the tax relief. 2. The withdrawal is by the depositor into his/her own account (cannot be a joint account). Hi. I have my own SSPN account. If i deposit money into my account am i eligible for tax relief? Hi Gwen, Unfortunately no. The tax relief is only for depositor for child. Is there an age limit for depositor ? If there is , what will be it ? Will this be a age criteria even though the depositor has a college studying child ??? Hi Foo, depositor age until 64. Child beneficiary age must be below 29. I am working overseas and have 2 children studying in international school in the country we are living in. We are all Malaysians. Can we open accounts for our children? Any exclusions or constraints we should be aware of? No exclusions or constraints as you’re Malaysian 🙂 You will need to open an account which needs to be done in person though. I am a foreign national married to a Malaysian and my children are Malaysian by birth. If I have my Malaysian wife open the accounts, could I then deposit the SSPN contributions and claim the 6k tax relief? Hi Avi, Unfortunately no as you must be a Malaysian citizen. Your Malaysian wife can contribute and qualify for the tax relief herself. What is the supporting document when withdraw the deposit? I am a working adult of age 32 and not married nor having any child yet. Can I still save a 6k in SSPN for tax relief purpose? Hi CHTan, You will need to have a child to qualify for SSPN tax relief. I have just completed my study and started my fulltime job. Can I take my SSPNi as a saving account by putting money in every month since it provides a better dividend compared to normal saving account? I am still single so I am not looking up for the tax relief, just wanted to save some money up somewhere else other than normal saving account. 1) am I able to close the account and take all my money back in the future for other financial purposes? 2) when I apply sspn i for my ptptn I just received a card, there is no bank book? Is that normal?I save money in sspn i via autodebit every month ever since. Hi Li Hui, grats on finishing your studies & starting your ft job. You could use it as a savings account but there may be better options available if you don’t qualify for tax relief (see below and/or contact us for more options). 2) Yes as SSPN-i is not a bank. the returns is calculated based on savings or savings + takaful? Hi mey, the returns is based on savings. I’ve deposited a certain amount into my SSPN account sometime in December 2016 but wasn’t entitled to the dividend payout in 2017. I did the same thing in 2017 not knowing that and only got a dividend payout based on the carry forward balance from 2016. May I know when’s the typical deadline for any deposits to be qualified for dividend entitlement? Hi Sean, SSPN dividends are pro-rated depending on when the funds was placed. The full dividend for the year will be given only if funds were invested by Jan 1 of the year. 1) If I want to claim for the tax relief for SSPN, the beneficially (my daughter) need to open the a/c before age 18? 2) Can husband and wife SSPN A/C put the same beneficially, and claim for separate tax relief (6k each)? 2) Can claim separately if filing taxes separately 6k each. If filing joint is capped total 6k. Referring to the same beneficiary but 2 different depositors (husband and wife), if husband deposit 3k, wife deposit 3k, can claim separately 6k? Hi Sam, Yes you can. Total must be 6k or less. I am interested in opening an account SSPN i PLus for my son .There are a few packages . I am keen on the BERLIAN . It says that the monthly contribution is Rm500, Rm 200 goes to saving and Rm 300 goes to Takaful. If I invest for 6 years, the amount I am getting back is Rm14400. What about the monthly Rm300 i paid monthly? Hi Valerie, unfortunately SSPN-i Plus does not provide full information on the returns. It is likely used to provide the coverage. Would suggest considering various options including SSPN-i (not i Plus) for your son’s educations savings, & a separate life insurance policy for your son. I am a foreign national married to a Malaysian and my children are Malaysian by birth. If I have my Malaysian wife open the accounts who is not working, could I then deposit the SSPN contributions and claim the 6k tax relief? If not is it mentioned on LHDN website? Hi, If you are filing as a Malaysian tax resident then you will be entitled for tax relief. Hi i had bank in rm1000 in yr 2017 and i get tax relief for year 2017 rm1000. If i bank in rm500 for 2018, will i get tax relief for 2018 rm1500 or rm500? Hi Alice, The tax relief will be based on the increase in the amount. Thus for 2018 will be tax relief of RM500 in your scenario. Still have this incentive RM500? SSPN1M matching grant (Insentif Geran Sepadan RM500 or GS500). Incentive of RM500 with minimum contribution RM500. Hi Ryin, according to the official SSPN site it appears to be still available although close to ending. We suggest checking directly with SSPN to confirm prior to placement. In 2017 i had deposited rm6k in my son sspn-i acc & didnt make any withdrawal in 2018.
if i didnt make any additional deposit in 2018, how much tax relief i can get for 2018? Hi, the tax relief will be 0. It is for new deposits in the year. is it difficult to make a withdrawal from the sspn-i account? can it be done through the bank? Hi Francis, you will need to go to any branch location. It’s reasonably simple to withdraw nowadays. Does PIDM cover SSPN investment? Hi BH, SSPN is government guaranteed. Hi We Long, it’s capped at RM6000 per individual. If you cancel you will not be entitled. I deposited 6k to my daughter, both can claim tax separately 6k or only 3k each? Hi Winnie, if you deposited 6k for your daughter, only you will be able to claim the 6k tax relief. Hello, I have deposited RM6000 every year to my kids SSPN account. Every year my dividend is about RM1000/ year. Total dividend already >RM8000. Therefore, I would like to ask if I withdrawl RM8000 dividend out from my account for year 2019. Am I still entitled RM6000 tax relief if I deposited as usual RM6000 into my account. Possible the account can differentiate between dividend and principle? Hi Tam SC, it would be based on the net difference between deposits & withdrawals for the respective tax year. Believe it does not take into account whether the withdrawal is from dividend or principle. i would like to know about the dividend payout timing each year. mean what is the perfect timing to withdraw out the money, in order to get tax relief and also the dividend. Hi Yong, the SSPN dividend is usually announced in Q1. I married 2 years ago and have two step-children below 18 from my wife’s previous marriage. Am I eligible to open a SSPN account? Hi Fong, Yes as long as you are legally recognized as parent/guardian of the children. Hi Fong, yes you will need to go to a PTPTN office & bring documents to show you are the legal parent. im married malaysian n with longterm social visa. im filing as malaysia residence of tax pay. 1) my husband has open child account under his name. if i want to tax relief under my name, should i need to open again under my name? or bank account under husband name and sspn beneficiary name can put my name? 2) if my epf ard 6k tax relief, which one can tax relief for other 6k? sspn i or sspn plus?? 2) The SSPN-i 8k tax relief is separate from EPF. SSPN-i plus tax relief is together with the 6k EPF tax relief. 1) if i deposited 6K to the account in 2018 and withdraw it in Jan 2019, I can get the tax relief for 2018, correct? 2) since i have withdrew the 6K in Jan 2019, by Dec 2019, I will need to deposit “12K” in order to get tax relief of 6K, correct? 3) then in Jan 2020, i withdraw the 12K and by Dec 2020, i would need to deposit “18K” in order to get the tax relief? Hi Cath, yes that’s right as is based on total net deposits vs withdrawals.